George’s Gym is focused on enriching the lives of families and communities spanning all demographics. We pride ourselves in always putting children first and providing programs that foster the imagination, while promoting physical and mental growth. Founded in 2008, George's Gym started with this mission in mind. In just a few short years, we have become part of the the greater Chicago community, providing fun and focused instruction for your children. We work from the North Shore all the way to Calumet Park. 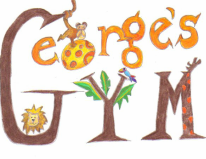 Please contact us to find out more information on bringing George's Gym to your area!